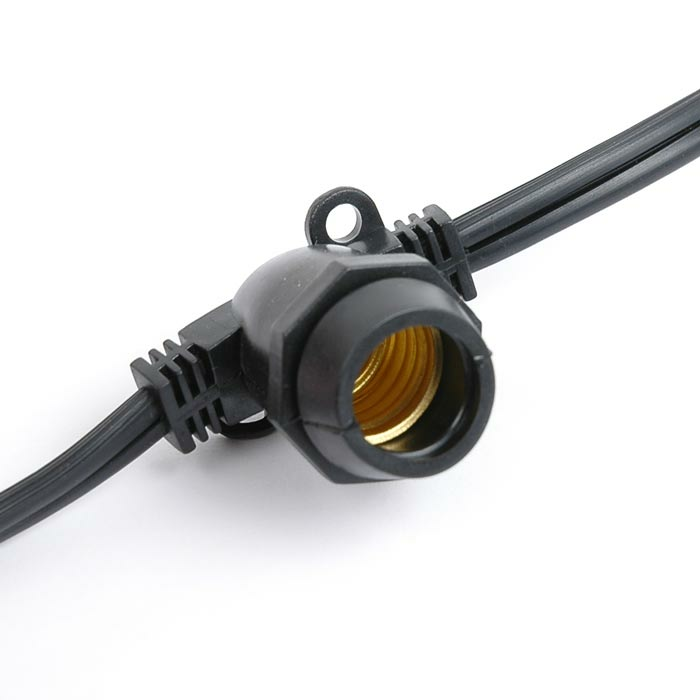 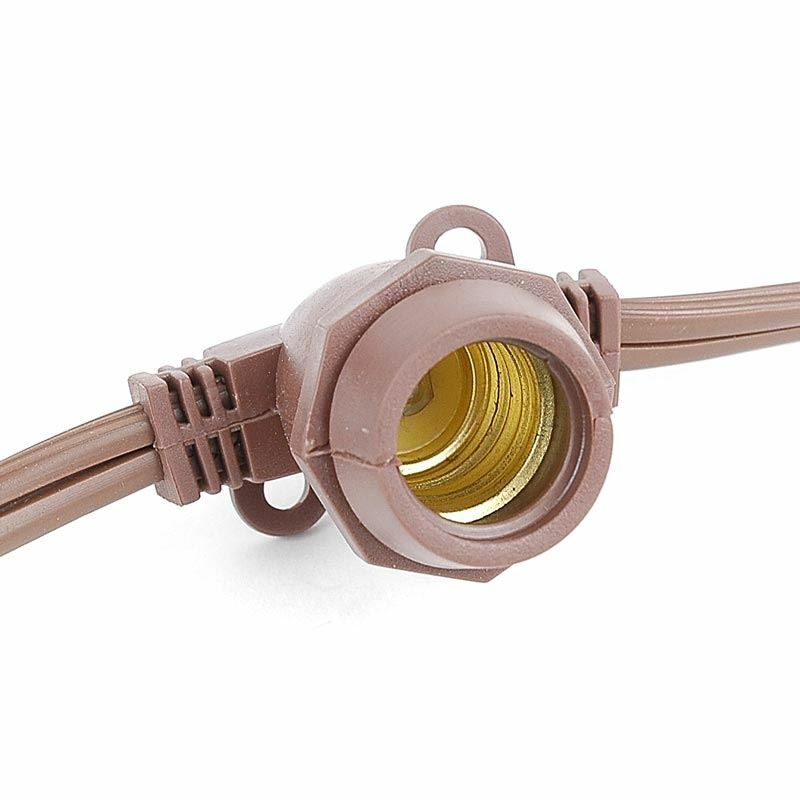 100 socket heavy duty outdoor string lights available with e12, e17 base and e26 base on both black, white, and brown wire. 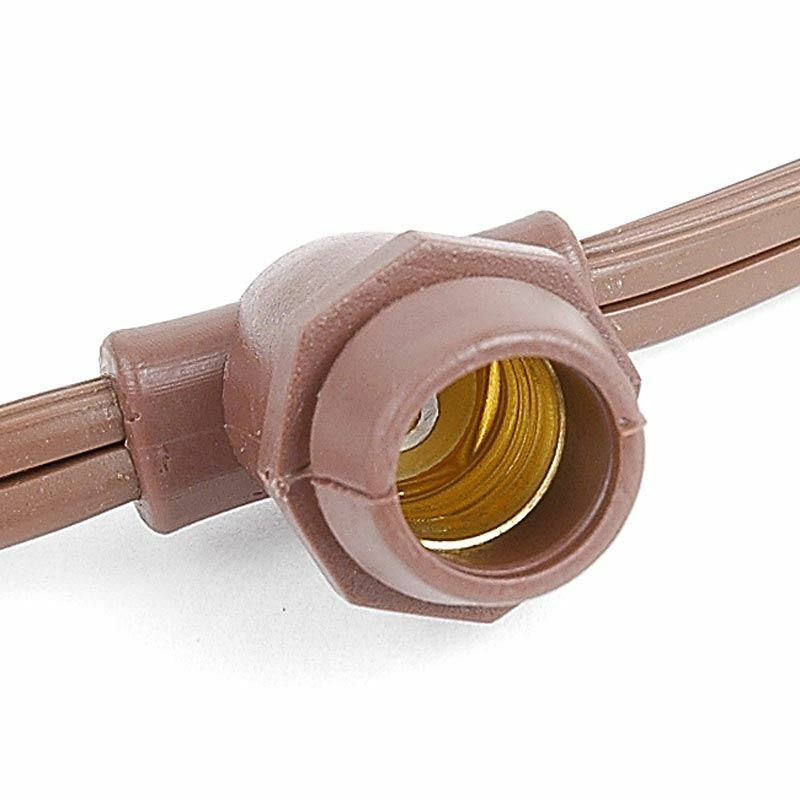 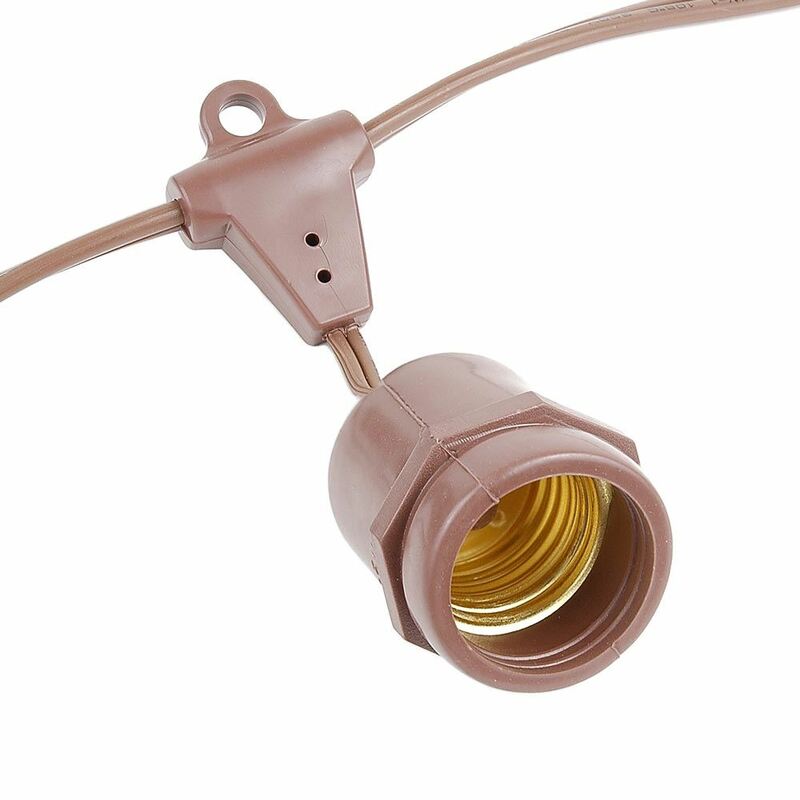 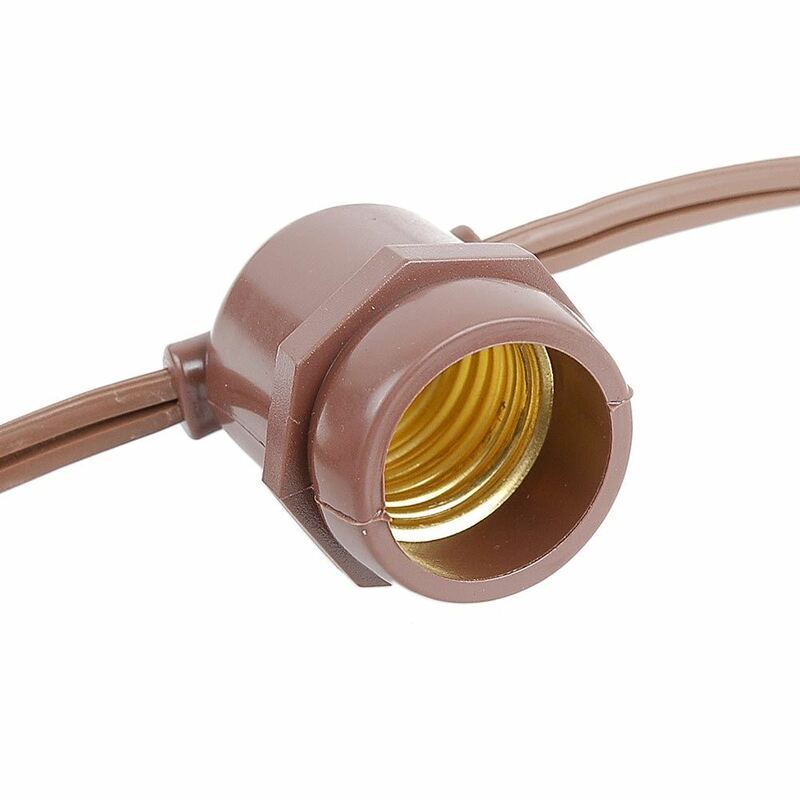 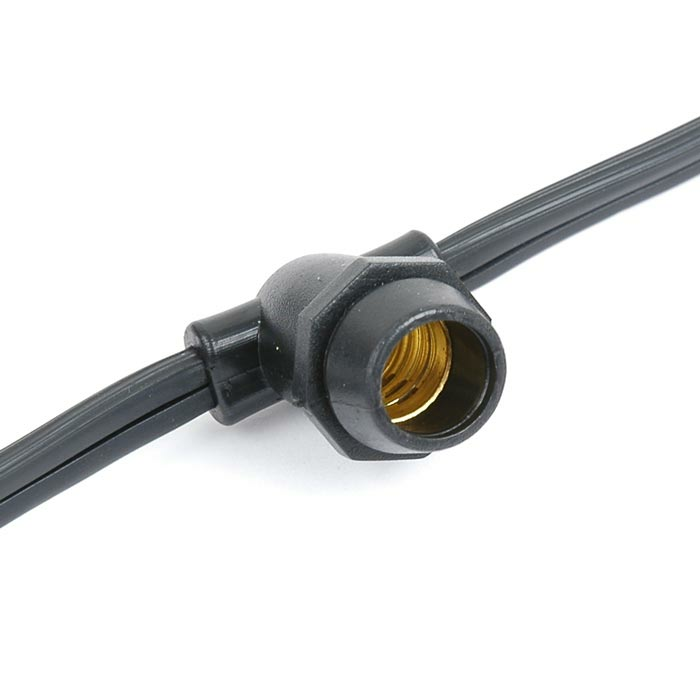 The e17 (intermediate base) outdoor lights will use a C9, G50 or S11 bulbs and the e26 (medium base) stringers use the s14 bulbs that are available in both LED and incandescent. 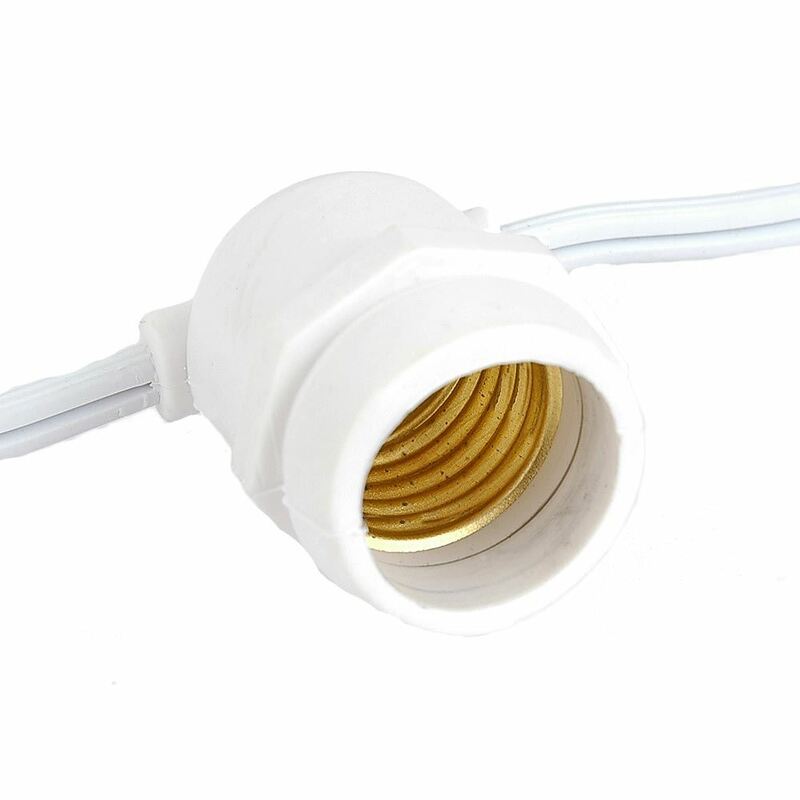 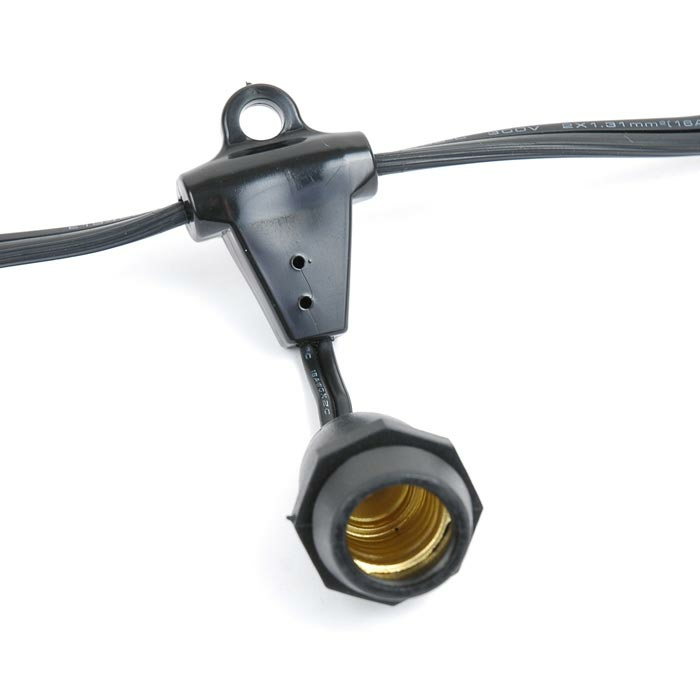 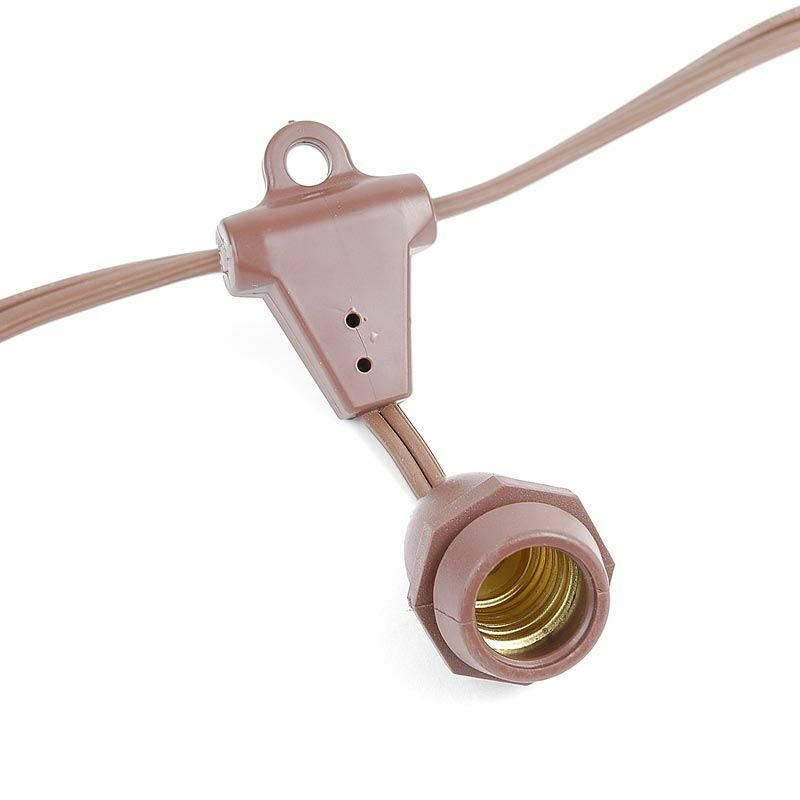 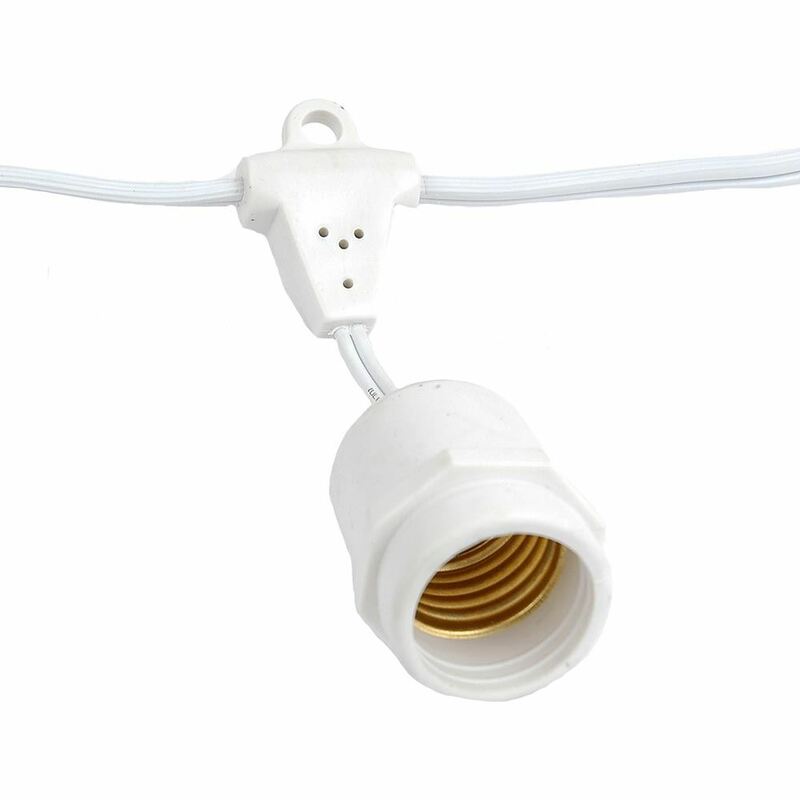 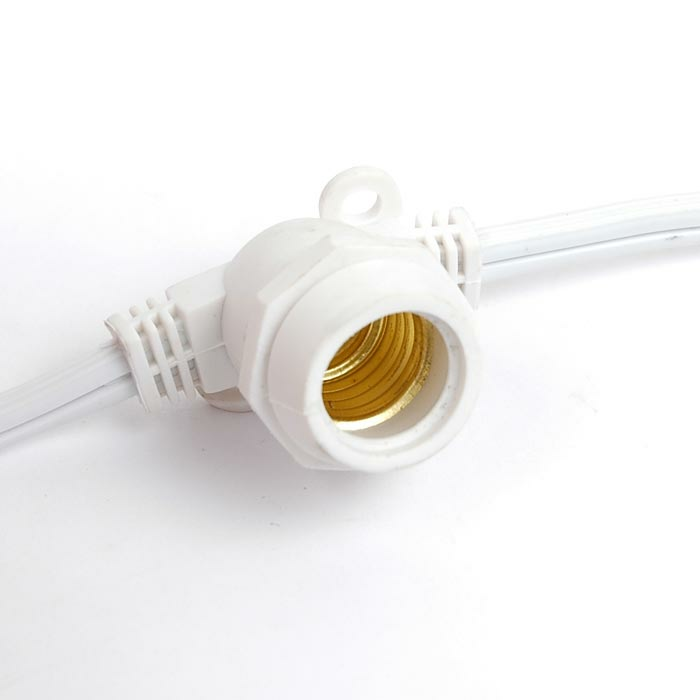 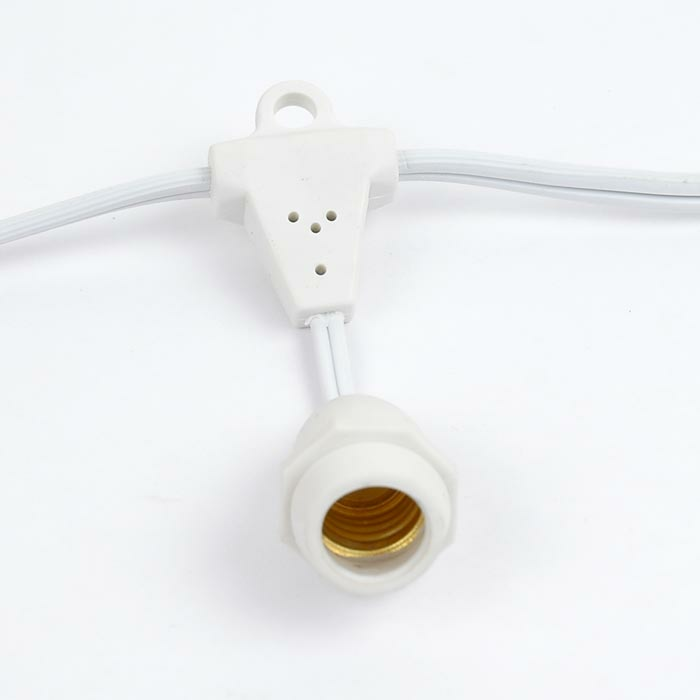 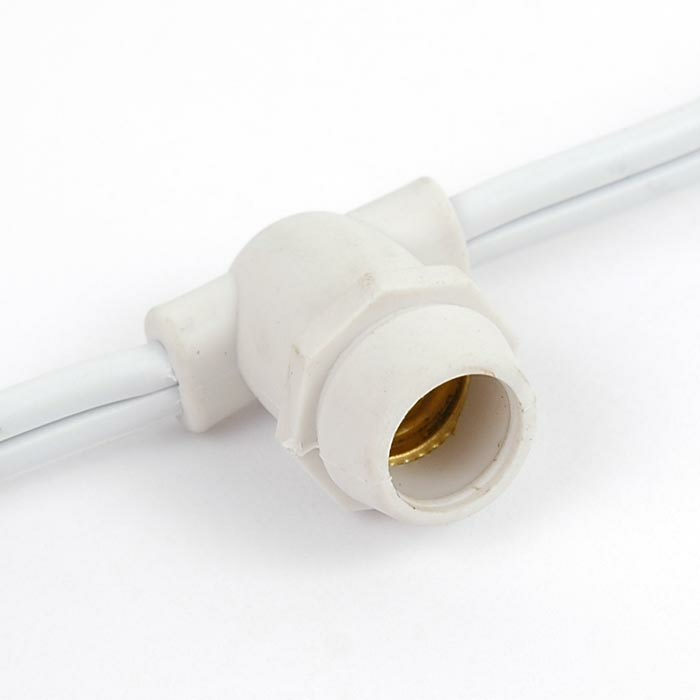 The e12 socket stringer can be used with g30, g40, and C7 LED and incandescent bulbs.